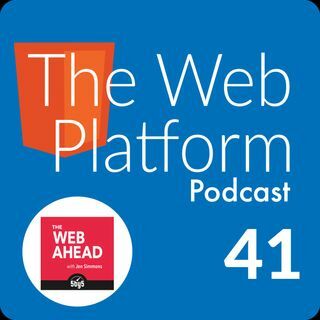 Jen Simmons (@JenSimmons), full stack designer & host of The Web Ahead Podcast (@TheWebAhead), takes us through what is means to contribute to and shape the ever changing landscape of the web. Jen produces an immense amount of free content from speaking engagements & training to podcasting that have reached all over the globe. The Web Ahead guests have included some of the most influential people in web technology & design to date. Jen has had a major impact in the way we build ... See More and design for the web. Her uncanny abilities are almost akin to a unicorn in that she is extremely knowledgeable in both development & design. Good thing for us that Jen knows how to share her knowledge and help everyone have a chance to shape the future of the web.